Equity Bank’s Iten branch manager Albert Kiprop during the awarding of scholarships to 16 students, December 28, 2017. Equity Bank has reduced the number of scholarship beneficiaries in Elgeyo Marakwet because of “tough economic times”. The bank reduced the number of needy KCPE candidates for the Wings to Fly programme from 25 candidates in 2016 to 16 in 2017. Iten branch manager Albert Kiprop said 348 candidates applied for full secondary school scholarships but that they could only sponsor 16. He asked other corporate organisations and government agencies to help the 332 unsuccessful candidates. “The bank is operating in tough economic times. We would have wished to sponsor more candidates but this is a global economic challenge,” Kiprop said on Thursday. The candidates will be commissioned at Nairobi’s Kenyatta University on January 4. 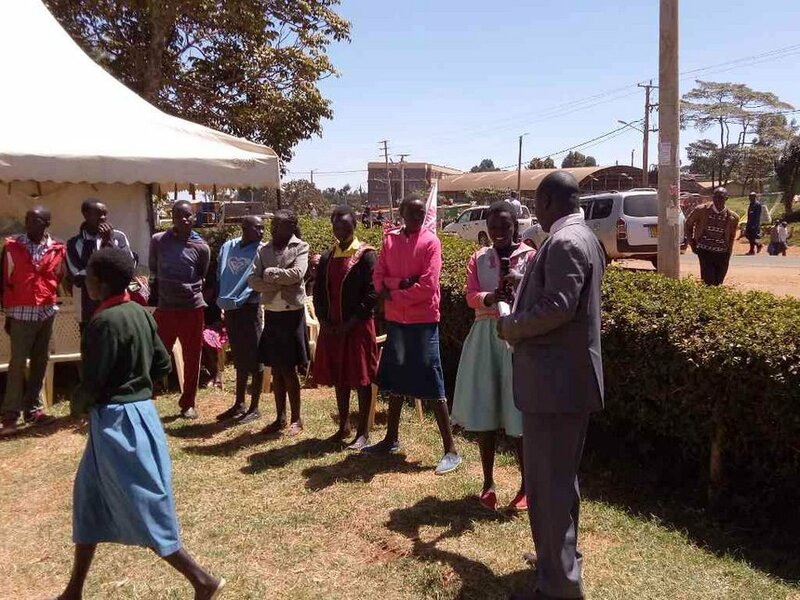 Kiprop noted the most deserving candidates were picked in the annual selection and praised the initiative, saying 138 students from poor families have benefited in the last eight years. Eight girls and eight boys were selected in the exercise that started early in December. “I appeal to other stakeholders to help those who didn’t qualify to offer bursaries. We urge them to use our data to check applicants’ profiles,” Kiprop said. The manager noted beneficiaries have had a 98 per cent transition rate to universities and that none of them has dropped out. Governor Alex Tolgos said the county will talk to MPs for the county bursary fund to be consolidated so those who did not get scholarships are assisted. He said they will also request professionals to offer sponsorship. Speaking separately on the sponsorship, Gatundu assistant commissioner Abdikadil Godana asked beneficiaries to capitalise on the opportunity by continuing to perform well. Gatundu branch manager Henry Maguta said that in the area, eight beneficiaries were selected from a total of 50 applicants.